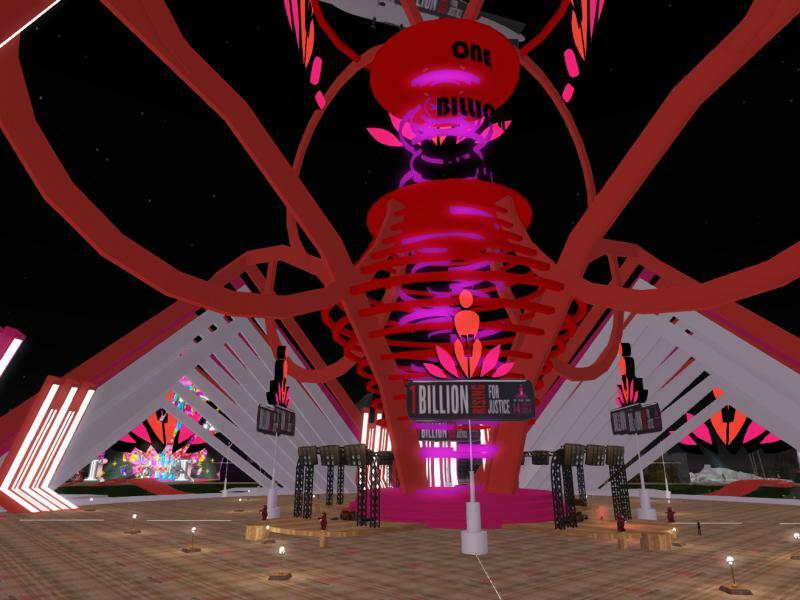 Today is the last chance to visit the One Billion Rising regions and see the art installations, the fabulous stage created by Victor1st Mornington and the beautiful gardens and landscaping created by Aisling Sinclair. Everything will be taken down today, ready to return the islands tomorrow morning – but we’ll be closing with a take down party! 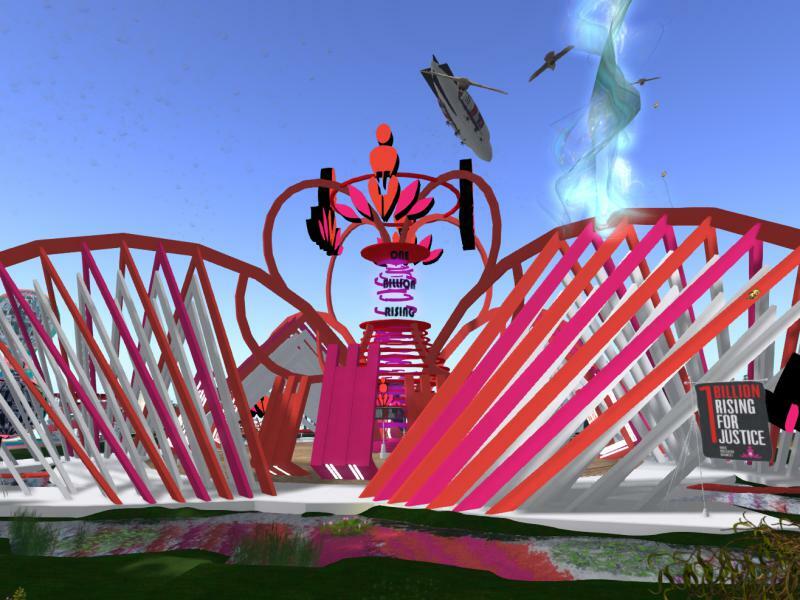 Join us on OBR Dance! (or Rise, Release or Justice!). The party starts at 2pm with Victor1st Mornington as DJ. At 4pm, Samm Quendra will be singing live … and then we will close out the event after that. Next Post: Relive Designing Worlds’ Christmas Special in New Babbage! 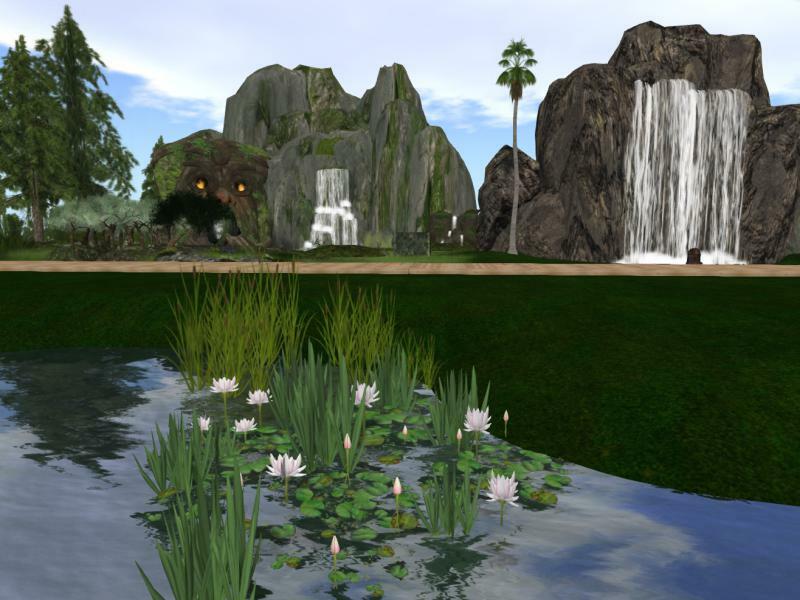 Credit for the lovely meditation area in the left of the photo goes to Taralyn Gravois – thanks, Tara! And many thanks to Lilith and Dolly Heart of Heart Garden Centre for donating the plants and trees used across all four OBR sims.